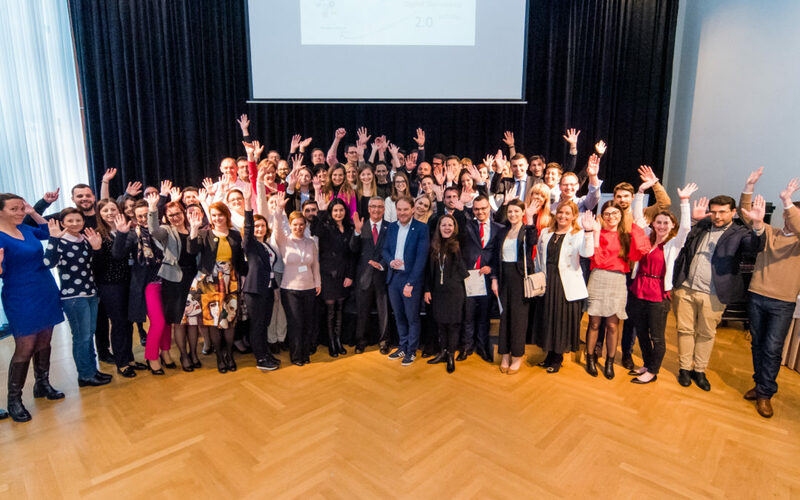 Digital Diplomacy Bootcamp 2.0 organised by the Centre for European Perspective and supported by the U.S. Department of State concluded in Ljubljana on Friday, 13 April 2018. A 4-day training »Enhancing Digital Diplomacy Activities in the Western Balkans and Eastern Europe” brought together over 70 PR representatives, communication officers and digital diplomats from Albania, Bosnia and Herzegovina, Georgia, Kosovo, Macedonia, Moldova, Montenegro, Serbia, Ukraine and Slovenia. The training covered theoretical and practical aspects of digital communications, digital journalism, story-telling, strategic communications planning, video-editing, photography and design. It evolved and upgraded the understanding of communications theory, digital crisis communications and digital journalism, but also offered a chance to improve and boost the skills in photography, design and video-editing. Participants were challenged in digital campaign development, but also actively discussed the phenomenon of misinformation, social media usage, audience identification, understanding and targeting. Press and public affairs products and their development attracted the attention of participants particularly because of its applicability in their everyday professional life. The last day of the training took place in Ljubljana and focused on teamwork, simulations and presentations, where the participants had to show their best and use the knowledge and skills acquired during the training. The concluding session and certificate ceremony were joined by Ambassador Brent R. Hartley, U.S. Ambassador to the Republic of Slovenia and Dr Gorazd Justinek, director of the Centre for European Perspective. The training is second of its kind, following the Digital Diplomacy Bootcamp conducted in November 2017 and represents an upgrade of an established cooperation between the Centre for European Perspective and the U.S. Department of State and the U.S. Embassy in Ljubljana.